What is God doing with simple/house churches in this country? Simple/house churches are alive and well. Just check out this video that was produced about one of the churches in the Simple Church Alliance network–Skate Church! A few years ago, I had the privilege of training a church in India in the principles of church planting. One of the activities we did was to listen to the Lord on behalf of the church. What was he saying to them as a body of believers? They were a wonderful group of people and the Lord spoke clearly. Yesterday, I had an email from them asking me to write some words for their anniversary and reminding me of a vision I had for them while I was there. The picture I had seemed relevant beyond just their situation. “I remember when I was with you that I had a picture of boats docked by the shore. The wind (of the Spirit) was blowing, but the boats had not yet put out to sea. A boat in the harbor cannot catch fish. Until it trims its sails and moves out of the safety and shelter of the shoreline, a sailing boat is land bound and cannot live up to its potential of being like a live creature, responding to every gust of wind and to the direction of the one at the helm. It’s time! It’s time to hoist your sails. You’ve had plenty of time to get everything ready and bring in provisions for the voyage. You are as ready now as you’ll ever be. The wind of the Holy Spirit is blowing. So experience the adventure and exhilaration of setting sail under the guidance and in the power of the Holy Spirit. As you sail under the direction of the Master Helmsman, you will be challenged by the risks of the unknown, and you will learn to rely on the One who will not fail you. Jesus is not safe or tame, but he is good. As you follow him into the deep, your boat will produce a wake that other boats will follow. As others see your walk of faith, they will desire that same voyage of exploration that you are experiencing. One of commonest emails I get is this: I live in ____, and I’m looking for a more organic expression of church. Can you help me? The Simple Church Global Network has recently launched a free house church registry to help, connect and serve house churches around the world. Once registered, your location will show up on the global map and you will receive practical and proven resources to help you and your house church. Features include practical resources, training, and coaching. All of this is free. Serving and strengthening house churches is the goal. Here’s the link: They are obviously in the early stages of populating the map. Check it out. Author simplychurch1Posted on July 30, 2015 Categories UncategorizedTags map, organic church, Simple Church Global Network, simple church. house church4 Comments on Are you on the map? 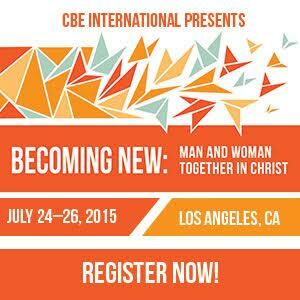 Are you going to the CBE conference? One of my driving passions concerns the importance of men and women co-laboring together as equals in the body of Christ. I’ve compiled a book on the topic and written extensively about it here on my blog. Christians for Biblical Equality (CBE) is an organization that has uncompromisingly espoused these same principles. I’ve long admired their work and from time to time have considered attending one of their conferences. When notification of their next conference at the end of July came across my desk a few weeks ago, I felt the Lord prompting me. Now’s the time! So I signed up. If any of you are going to be there, I’d love to meet you! Please get in touch and let’s get together. Here’s some information on the conference. 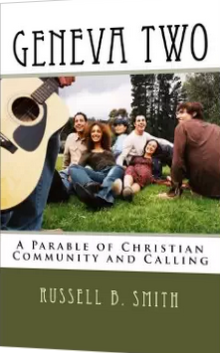 Author simplychurch1Posted on June 30, 2015 Categories UncategorizedTags CBE, Christians for Biblical Equality, July 2015 conference, Women and men3 Comments on Are you going to the CBE conference? One of Tony’s and my greatest current challenges concerns an elderly parent. She’s been a wonderful woman of God, greatly used by the Lord around the world. But dementia has done more than robbed her of her memory. It has shrunk her world, stolen her dignity and changed her personality. It’s been hard to watch. Amy Grant, (the singer) faced similar issues with both her parents. I recently was asked to review the new monthly devotional magazine, Simple Grace, and was blessed to find an article by her describing how she coped with her situation. With simplicity, grace, and humility, she described her walk with Jesus as she dealt with her parents’ Alzheimer’s disease. Simple Grace is a little bit like Guideposts–short, inspirational articles on how God has worked in people’s daily lives. 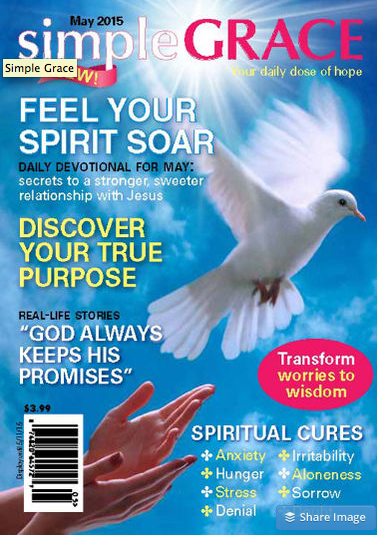 The main part of the magazine is a daily devotional, along the lines of GOD CALLING in that each devotional takes on the voice of Jesus speaking directly to you. It’s not profound theology, but it’s encouraging and inspirational. I believe Jesus will use this little magazine in the lives of many. Masculine gender words that refer to men. The NIV 2011 translates them as “he”, “him” or “man” in English. For example, 1 Cor 7:18 – “Was a man already circumcised when he was called? He should not become uncircumcised. Was a man uncircumcised when he was called? He should not be circumcised.” Only male circumcision is in view, so he’s talking about men, not women. Feminine gender words that refer to women. The NIV 2011 translates them as “she” or “her” in English. For example, 1 Cor 7:4 – “The wife does not have authority over her own body but yields it to her husband;” 7:13 – “if a woman has a husband who is not a believer and he is willing to live with her, she must not divorce him.” What we see in Group 1 and Group 2 is proof that the NIV 2011 is not some “unisex” Bible. Women are women, men are men, and (Group 3) people are people. Masculine gender words that, in context, refer to men and women or both. The NIV 2011 tries to translate them literally into English, that is, making them refer to men and women, boys and girls, without restricting the reference to “man = adult male”. In today’s English, “man” refers to a male, and an adult; the original Greek includes people of both sexes and all ages, for example “if anyone is in Christ”, 2 Cor 5:17. As Mark Strauss, editor of the NIV 2011 states, “A simple definition of a gender-inclusive translation is a translation that seeks to avoid masculine terminology when the original author was referring to members of both sexes. All the controversy over gender neutrality in the NIV 2011 has to do with Group 3. Every single English Bible version in use today employs “gender neutral translation” to some extent. That includes the ESV, the NASB and yes, the original King James Version, see below. In other words, the difference between the KJV, ESV and the NIV 2011 is a relative difference of degree, not an absolute difference in translation philosophy. 1 Cor 1:10. See also 1:11; 1:26; 2:1; 3:1; 4:6; 5:11; 6:8; 7:15; 7:24; 7:29. Here and in many other verses in the New Testament, Paul address the Christians as “brothers and sisters” rather than just “brothers” or “brethren”. One website insists that this is silly, since everyone knows that the term “brothers” includes women. But is this so? When someone asks me, “Do you have any brothers?” a proper answer might be, “Brothers? Yes, I have one brother.” I would not say, “Brothers? Yes, I have a sister.” It’s as simple as that: “brothers” no longer includes “sisters”, as it did in English centuries ago.